Has the final countdown to the end days begun? Are the heavens telling us we are nearing the end? Astronomers have noticed it is coming. Historians have noted its significance. In 2014 and 2015, there will be a phenomenon in the skies of four blood moons falling during Jewish feasts. This has only happened three times in recorded history: 1493-94, 1949-50 and 1967-68. Each time these dates have had extraordinary significance for the Israelites. From the discovery of the New World to the creation of modern-day Israel, these years of the four blood moons have truly been turning points in history. 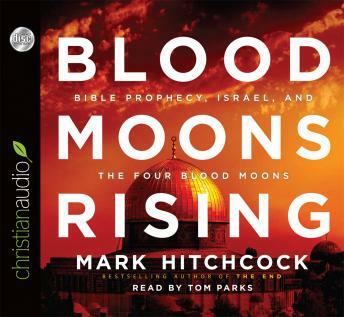 Bible prophecy describes the moon being darkened and turned to blood. What is the significance of these signs in the skies? What will the future bring? Prophecy expert Mark Hitchcock guides you through the relevant Bible passages so you can understand the times in which you live.